Linda Knight is a lifetime student of the Bible. She taught in public school for over 30 years along with teaching children and adults in Bible classes. She loves to teach God's word to children and facilitate women's bible studies. 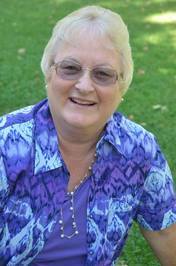 Linda lives in Concord, California, and is a mother and grandmother. She loves to read, garden, travel and quilt. We’d love your help. Let us know what’s wrong with this preview of Tough As They Come by Travis Mills. We’d love your help. Let us know what’s wrong with this preview of Don't Cry for Me by Sharon Sala. We’d love your help. Let us know what’s wrong with this preview of Next of Kin by Sharon Sala. This book has helped me focus on what God is promises and how I can relay on His character and Word. I love having a daily devotion that is easy to do and applies to my life directly.